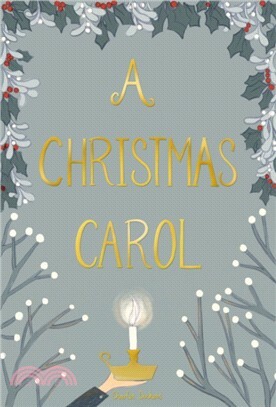 A Christmas Carol is the most famous, heart-warming and chilling festive story of them all. In these pages we meet Ebenezer Scrooge, whose name is synonymous with greed and parsimony: 'Every idiot who goes about with "Merry Christmas" on his lips, should be boiled with his own pudding, and buried with a stake of holly through his heart'. This attitude is soon challenged when the ghost of his old partner, Jacob Marley, returns from the grave to haunt him on Christmas Eve. Scrooge is then visited in turn by three spirits of Christmas Past, Present and Future, each one revealing the error of his ways and gradually melting the frozen heart of this old miser, leading him towards his redemption. On the journey we take with Scrooge we encounter a rich array of Dickensian characters including the poor Cratchit family with the ailing Tiny Tim and the generous and jolly Fezziwig. When Charles Dickens wrote A Christmas Carol in 1843 he fashioned an enduring gift to the world, capturing the essence of the love, kindness and generosity of the Christmas season.